We are preparing the Event for upcoming Valentine Day. [Event 01] Valentine Love Booster ! 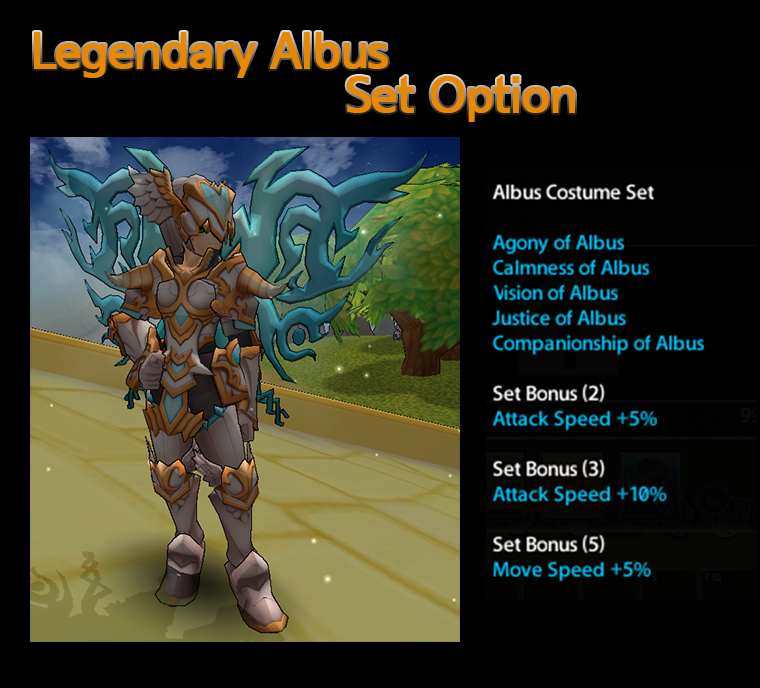 - Gather the Event item via various routes and take some reward items. - When you are hunting, you can obtain the "Heart Piece (L)" and Heart Token by chance. 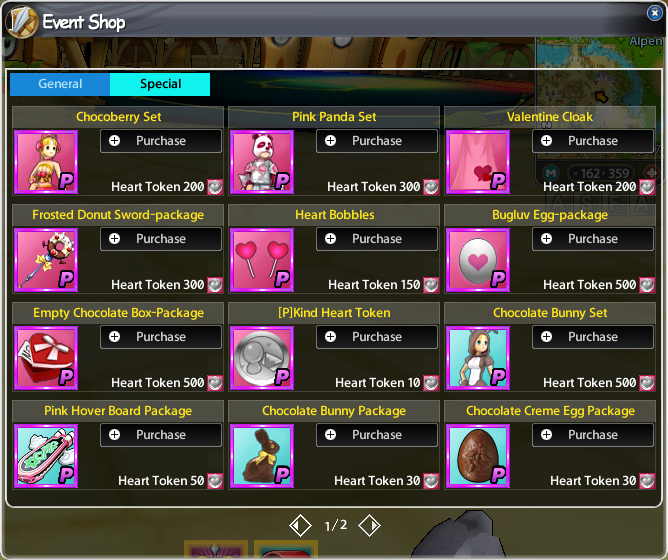 - When you are digging, you can obtain the "Heart Piece (O)" and Heart Token by chance. - When you are fishing, you can obtain the "Heart Piece (V)" and Heart Token by chance. - When you are connecting on time, you can obtain the 5 "Heart Piece (V)" via mailbox. - If you gather the 10 pieces of each letter "L, O, V, E", you can obtain the Love Booster by double-clicking. - Empty Chocolate Box and Bugluv is pet item. - You can get the gold and EXP buff Every day in event period! Please check the detailed time below. Every Day: 02:00 ~ 03:00 / Double Gold and EXP! ※ The Rate to obtain the high-grade items in Premium Gacha is increased during the period. 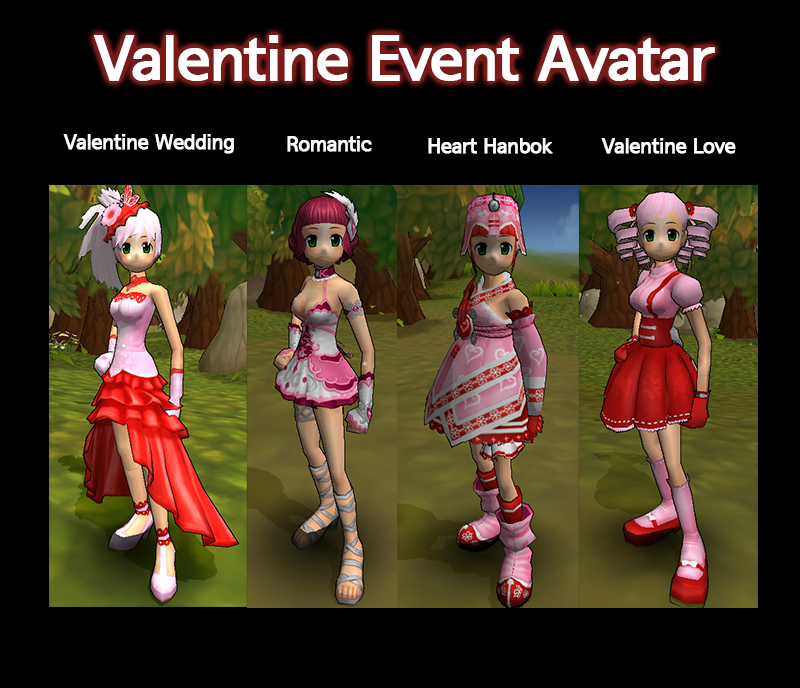 - The Valentine Event Avatars are added to Avatar Gacha. ※ The Valentine Event Avatars are removed from Avatar Gacha when event is closed. - Gacha Shop's Gem Consume Event is changed. 1. 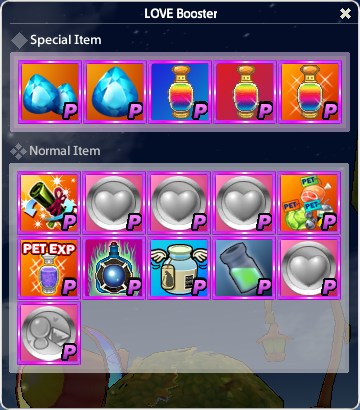 If you consume over 10 gems per a day and consume gems over 15 days, you can get [P]Essence of Fallen Tillia. - noncontinuous 2. If you consume over 10 gems per a day and lasts it 7 days, You can get the [A]Hanbok Set - continuous 3. 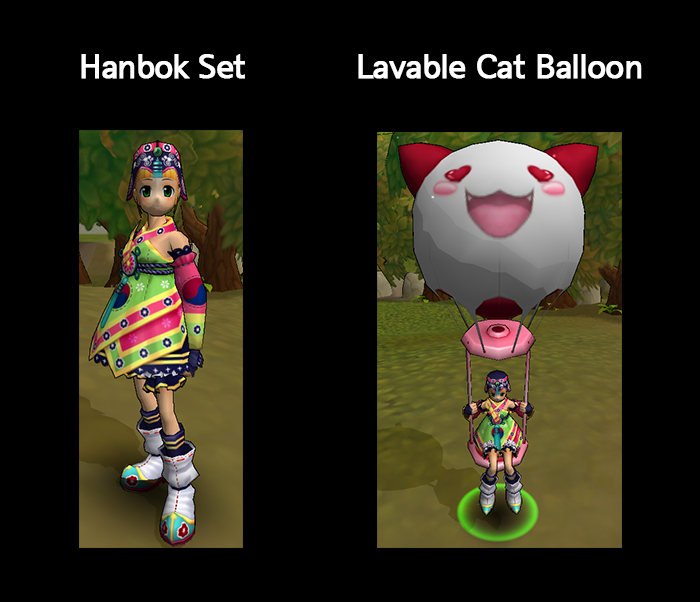 If Gem consume amount is over 100, you can get the [30D]Lovable Cat Balloon. If Gem consume amount is over 300, you can get the [Mount]Lovable Cat Balloon. ※ The amount of Gem consume is accumulated in each account. The reward is given to character which is satisfied the standard.